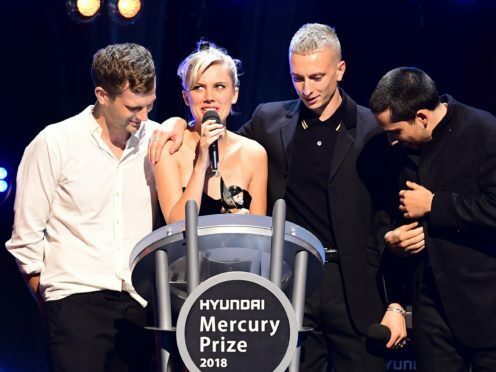 The four-piece group, from north London, were visibly stunned to beat fellow contenders including Lily Allen, Arctic Monkeys and Noel Gallagher’s High Flying Birds. It was the second time the band had been in the running for the prestigious prize after their debut My Love Is Cool was shortlisted in 2015. Bass player Theo Ellis added: “When we first started as a band I remember the first label meeting we ever had, we walked into a room and the geezer said ‘You don’t look like a band at all, what are you? What are you supposed to be? All your songs sound different, you don’t look like each other’. “We never really figured it out, but here we are so f*** you. “He also said he didn’t want to work with women who wore make-up because it was a bunch of fuss, and here we are and I actually can’t believe it. “Noel Gallagher is f****** sat there looking at me, what are you supposed to say?